Bring cheer to those children who are less fortunate than us by joining a Santa Toy Run this December. We've selected seven of which are scattered all over the UK for you to take part in. 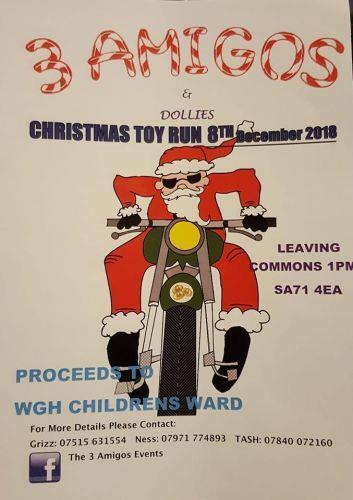 Roughley’s Bike Show are organising their annual toy run, on this friendly learner route, and will be leaving Tesco at 11am. Visit their website or Facebook page for more information here. Celebrating their 17th annual toy run, Unwanted MCC Rock Bar are arranging this one. If you’re interested come dressed in your best Santa outfit and be ready to leave for Fountains School, Stretton, at 11am. They’ll be free refreshments at the school, a Christmas fayre and a prize for the best dressed. Visit their website for more information here. As well as collecting toys, The Three Amigos Events are hosting their toy run with all proceeds going to the local children’s ward and disabled children in care at the local Action for Children charity. For more information and to take part visit The 3 Amigos Facebook event page. Event organisers have asked that all toys should be unwrapped and new. Reading Christian Bikers have arranged their 33rd annual toy run for early December. The team have asked all bikers meet at 1pm, ready to leave for High Close School, Wokingham, at 2pm. Visit the Reading Toy Run website for more information. 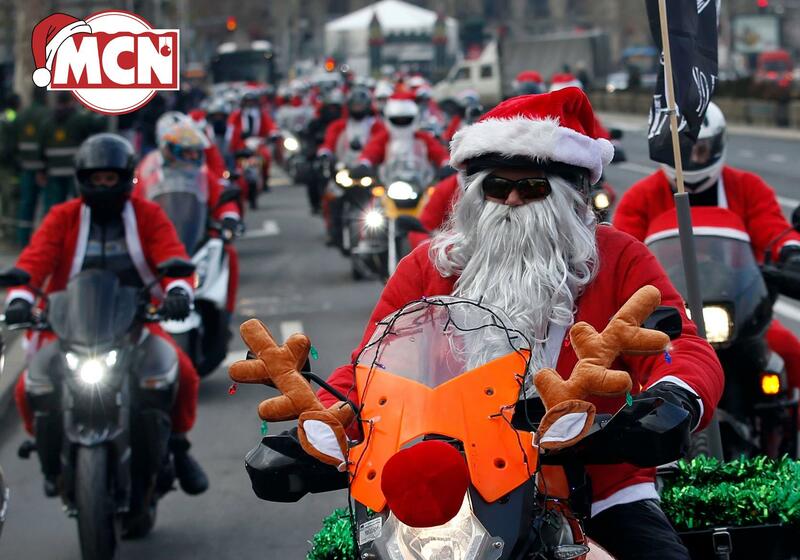 Last year it snowed and around 260 bikers still showed up for the re-run to deliver toys to the local Cambridge hospital. If you're a local join in for 2018 and visit the Cambridge Bikers Facebook page for more information. The Eastbourne and Hastings Santa toy run is heading to the Eastbourne Friston ward to deliver presents to the children and then on to Conquest Hospital children's ward to do the same. For more information visit their Facebook page. The cafe's annual Christmas toy run will depart for central London to visit three hospitals, St. Mary's in Paddington, Royal Brompton in Chelsea and Evelina Children's Hospital in Westminster. For timings and more information visit the Ace Cafe website.